You are currently browsing the category archive for the ‘IB HL calculus’ category. The folium of Descartes is a famous curve named after the French philosopher and mathematician Rene Descartes (pictured top right). As well as significant contributions to philosophy (“I think therefore I am”) he was also the father of modern geometry through the development of the x,y coordinate system of plotting algebraic curves. As such the Cartesian plane (as we call the x,y coordinate system) is named after him. Descartes was studying what is now known as the folium of Descartes (folium coming from the Latin for leaf) in the first half of the 1600s. Prior to the invention of calculus, the ability to calculate the gradient at a given point was a real challenge. He placed a wager with Pierre de Fermat, a contemporary French mathematician (of Fermat’s Last Theorem fame) that Fermat would be unable to find the gradient of the curve – a challenge that Fermat took up and succeeded with. Therefore if we take (say) a =1 and the coordinate (1.5, 1.5) then we will have a gradient of -1.
therefore the point (1.5, 1.5) is on the curve. You can read a lot more about famous curves and explore the maths behind them with the excellent “50 famous curves” from Bloomsburg University. This is a brief introduction to the Dirac Delta function – named after the legendary Nobel prize winning physicist Paul Dirac. Dirac was one of the founding fathers of the mathematics of quantum mechanics, and is widely regarded as one of the most influential physicists of the 20th Century. This topic is only recommended for students confident with the idea of limits and was inspired by a Quora post by Arsh Khan. The first property as defined above is that the delta function is 0 for all values of t, except for t = 0, when it is infinite. The second property defined above is that the integral of the delta function – and the area of the graph between 2 points (either side of 0) is 1. We can take the bottom integral where we integrate from negative to positive infinity as this will be more useful later. Whilst this looks a little intimidating, it just means that we take the limit of the function as epsilon (ε) approaches 0. Given this definition of the delta function we can check that the 2 properties outlined above hold. For the first limit above we set t not equal to 0. Then, because it is a continuous function when t is not equal to 0, we can effectively replace epsilon with 0 in the first limit above to get a limit of 0. In the second limit when t = 0 we get a limit of infinity. Therefore the first property holds. So we have shown above that the integral of every function of this form will have an integral of 1, regardless of the value of epsilon, thus satisfying our second property. So far so good. But what is so remarkable about the Dirac function? Well, it allows objects to be described in terms of a single zero width (and infinitely high) spike, but despite having zero width, this spike still has an area of 1. This then allows the representation of elementary particles which have zero size but finite mass (and other finite properties such as charge) to be represented mathematically. With the area under the curve = 1 it can also be thought of in terms of a probability density function – i.e representing the quantum world in terms of probability wave functions. You can see that as ε approaches 0 we get a function which is close to 0 everywhere except for a spike at zero. The total area under the function remains at 1 for all ε. Therefore we can represent the Dirac Delta function with the above graph. In it we have a point with zero width but with infinite height – and still with an area under the curve of 1! 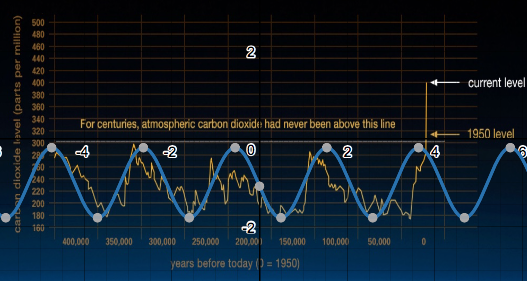 The above graph is from NASA’s climate change site, and was compiled from analysis of ice core data. Scientists from the National Oceanic and Atmospheric Administration (NOAA) drilled into thick polar ice and then looked at the carbon content of air trapped in small bubbles in the ice. From this we can see that over large timescales we have had large oscillations in the concentration of carbon dioxide in the atmosphere. During the ice ages we have had around 200 parts per million carbon dioxide, rising to around 280 in the inter-glacial periods. However this periodic oscillation has been broken post 1950 – leading to a completely different graph behaviour, and putting us on target for 400 parts per million in the very near future. One of the fields that mathematicians are always in demand for is data analysis. Understanding data, modeling with the data collected and using that data to predict future events. Let’s have a quick look at some very simple modeling. The graph above shows a superimposed sine graph plotted using Desmos onto the NOAA data. Whilst not a perfect fit, it does capture the general trend of the data and its oscillatory behaviour until 1950. 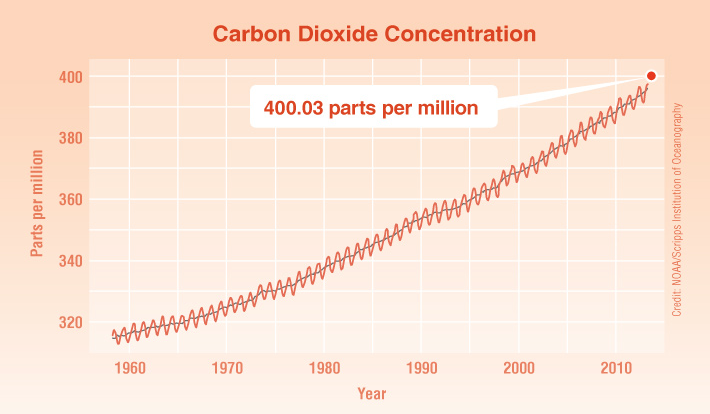 We can see that post 1950 we would then expect to be seeing a decline in carbon dioxide rather than the reverse – which on our large timescale graph looks close to vertical. This captures the shape in the middle of the graph better than the original sine function, but at the expense of less accuracy at the left and right. We can see that the purple cubic fits the first 5 points quite well (with a high R² value). So we should be able to create a piecewise function to describe this graph. We would then be able to fit this to the original model scale by applying a vertical translation (i.e add 280), vertical and horizontal stretch. It would probably have been easier to align the scales at the beginning! Nevertheless we have the shape we wanted. Our piecewise function gives us a good data fit for the domain we were working in – so if we then wanted to use some calculus to look at non horizontal inflections (say), this would be a good model to use. If we want to analyse what we would have expected to happen without human activity, then the sine models at the very start are more useful in capturing the trend of the oscillations. Looking on a completely different scale, we can see the general tend of carbon dioxide concentration post 1950 is pretty linear. This time I’ll scale the axis at the start. Here 1960 corresponds with x = 0, and 1970 corresponds with x = 5 etc. Actually we can see that a quadratic fits the curve better than a linear graph – which is bad news, implying that the rates of change of carbon in the atmosphere will increase. Using our model we can predict that on current trends in 2030 there will be 500 parts per million of carbon in the atmosphere. According to the Stern Report, 500ppm is around the upper limit of what we need to aim to stabalise the carbon levels at (450ppm-550ppm of carbon equivalent) before the economic and social costs of climate change become economically catastrophic. 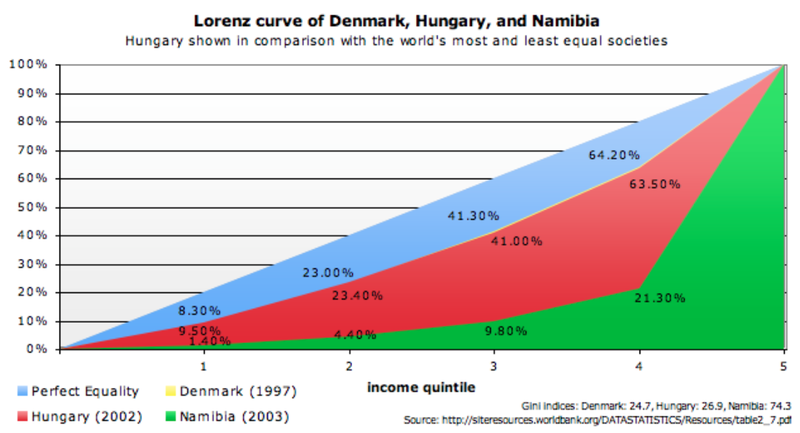 The Stern Report estimates that it will cost around 1% of global GDP to stablise in this range. Failure to do that is predicted to lock in massive temperature rises of between 3 and 10 degrees by the end of the century. The Stern report is a very detailed look at the evidence, graphical data and economic costs. Where Si(x) is a special function. This may sound strange – but we already come across another similar case with the integral of 1/x. In this case we define the integral of 1/x as ln(x). ln(x) is a function with its own graph and I can use it to work out definite integrals of 1/x. For example the integral of 1/x from 1 to 5 will be ln(5) – ln(1) = ln(5). You can see that it is symmetrical about the y axis, has an oscillating motion and as x gets large approaches a limit. In fact this limit is pi/2. How to integrate sinx/x ? It’s all very well to define a new function – and say that this is the integral of sinx/x – but how was this function generated in the first place? This means that in the domain close to x = 0, the function sinx/x behaves in a similar way to the polynomial above. The last part of this expression O( ) just means everything else in this expansion will be x^6 or greater. So for the region above (x between 0 and 2) the 2 graphs are virtually indistinguishable. Therefore if we want to integrate sinx/x for values close to 0 we can just integrate our new function 1 – x^2/6 + x^4/120 and get a good approximation. Our approximation is accurate to 3 dp, 1.371 in both cases. If we wanted greater accuracy we would simply use more terms in the Maclaurin expansion. So, by using the Maclaurin expansion for terms near x = 0 and the Taylor expansion for terms near x = a we can build up information as to the values of the Si(x) function. The Most Difficult Ever HL maths question – Can you understand it? This was the last question on the May 2016 Calculus option paper for IB HL. It’s worth nearly a quarter of the entire marks – and is well off the syllabus in its difficulty. You could make a case for this being the most difficult IB HL question ever. As such it was a terrible exam question – but would make a very interesting exploration topic. So let’s try and understand it! First I’m going to go through a solution to the question – this was provided by another HL maths teacher, Daniel – who worked through a very nice answer. For the first part of the question we need to try and understand what is actually happening – we have the sum of an integral – where we are summing a sequence of definite integrals. So when n = 0 we have the single integral from 0 to pi of sint/t. When n = 1 we have the single integral from pi to 2pi of sint/t. The summation of the first n terms will add the answers to the first n integrals together. This is the plot of y = sinx/x from 0 to 6pi. Using the GDC we can find that the roots of this function are n(pi). This gives us the first mark in the question – as when we are integrating from 0 to pi the graph is above the x axis and so the integral is positive. When we integrate from pi to 2pi the graph is below the x axis and so the integral is negative. Since our sum consists of alternating positive and negative terms, then we have an alternating series. T = n(pi). This is now the lower integral value. The third integral uses the fact that sin(T + pi) = – sin(T). This is the same as y = sinx/x but reflected in the x axis. Therefore the absolute value of the integral of y = -sinx/x will be the same as the absolute integral of y = sinx/x. The fourth integral has also noted that we can simply replace T with t to produce an equivalent integral. The last integral then notes that the integral of sint/(t+pi) will be less than the integral of sint/t. 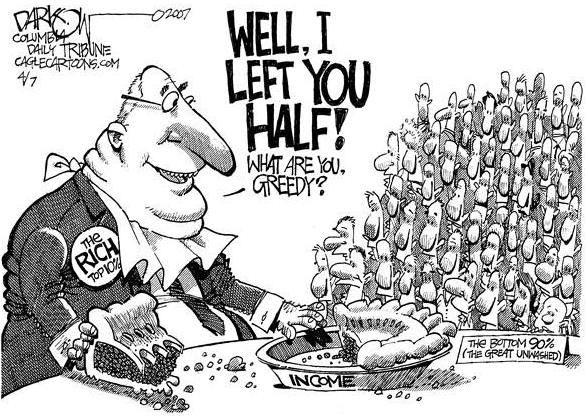 This then gives us the inequality we desire. Don’t worry if that didn’t make complete sense – I doubt if more than a handful of IB students in the whole world got that in exam conditions. Makes you wonder what the point of that question was, but let’s move on. We already have shown it’s an absolute decreasing sequence, so we just now need to show the limit of the sequence is 0. 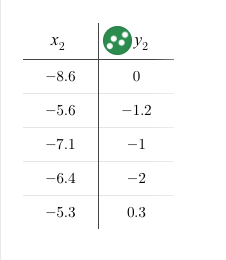 This graph above is y = sinx/x. If we integrate this function then the parts under the x axis will contribute a negative amount. But this graph is y = absolute (sinx/x). Here we have no parts under the x axis – and so the integral of absolute (sinx/x) will always be greater than or equal to the integral of y = sinx/x. To get the third integral we note that absolute (sinx) is bounded between 0 and 1 and so the integral of 1/x will always be greater than or equal to the integral of absolute (sinx)/x. We next can ignore the absolute value because 1/x is always positive for positive x, and so we integrate 1/x to get ln(x). Substituting the values of the definite integral gives us a function of ln which as n approaches infinity approaches 0. Therefore as this limit approaches 0, and this function was always greater than or equal to absolute u_n, then the limit of absolute u_n must also be 0. Therefore we have satisfied the requirements for the Alternating Series test and so the series is convergent. And there we are! 14 marks in the bag. Makes you wonder who the IB write their exams for – this was so far beyond sixth form level as to be ridiculous. More about the Si(x) function in the next post. IB HL Calculus P3 May 2016: The Hardest IB Paper Ever? IB HL Paper 3 Calculus May 2016 was a very poor paper. It was unduly difficult and missed off huge chunks of the syllabus. You can see question 5 posted above. (I work through the solution to this in the next post). This is so far off the syllabus as to be well into undergraduate maths. Indeed it wouldn’t look out of place in an end of first year or end of second year undergraduate calculus exam. So what’s it doing on a sixth form paper for 17-18 year olds? The examiners completely abandoned their remit to produce a test of the syllabus content – and instead decided that a one hour exam was the time to introduce extensions to that syllabus, whilst virtually ignoring all the core content of the course. 1) Maclaurin- on the syllabus. This was reasonable. As was using it to find the limit of a fraction. Part (c) requires use of Lagrange error – which students find difficult and forms a very small part of the course. If this was the upper level of the challenge in the paper then fair enough, but it was far from it. 2) Fundamental Theorem of Calculus – barely on the syllabus – and unpredictable in advance as to what is going to be asked on this. This has never been asked before on any paper, there is no guidance in the syllabus, there was no support in the specimen paper and most textbooks do not cover this in any detail. This seems like an all or nothing question – students will either get 7 or 0 on this question. Part (c) for an extra 3 marks seems completely superfluous. 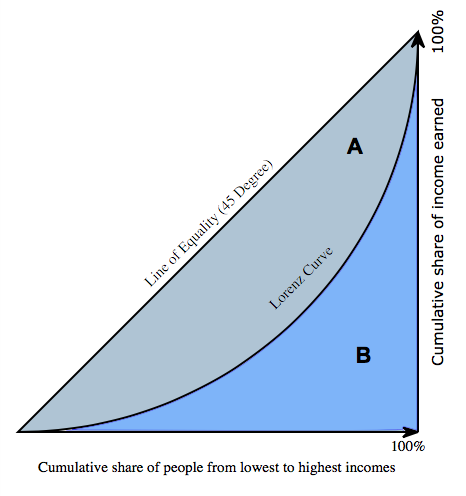 3) Mean Value Theorem – a small part of the syllabus given dispropotionate exam question coverage because the examiners seem to like proof questions. This seems like an all or nothing question as well – if you get the concept then it’s 7 marks, if not it’ll likely be 0. 4) Differential equations – This question would have been much better if they had simply been given the integrating factor /separate variables question in part (b), leaving some extra marks to test something else on part (a) – perhaps Euler’s Method? 5) An insane extension to the syllabus which took the question well into undergraduate mathematics – and hid within it a “trap” to make students try to integrate a function that can’t actually be integrated. This really should have been nowhere near the exam. At 14 marks this accounted for nearly a quarter of the exam. The syllabus is only 48 hours and all schools spend that time ploughing through limits and differentiability of functions, L’Hopital’s rule, Riemann sums, Rolle’s Theorem, standard differential equations, isoclines, slope fields, the squeeze theorem, absolute and conditional convergence, error bounds, indefinite integrals, the ratio test, power series, radius of convergence. All of these went pretty much unassessed. I would say that the exam tested around 15% of the syllabus content. Even the assessment of alternating series convergence was buried inside question 5 – making is effectively inaccessible to all students. The result of this is that there will be a huge squash in the grade boundaries – perhaps as low as 50-60% for a Level 6 and 25-35% for a level 4. The last 20 marks on the paper will probably be completely useless – separating no students at all. This then produces huge unpredictability as dropping 4-5 marks might take from from a level 5 to level 3 or level 6 to level 4. At various times throughout the year I joke with my students about how the HL Mathematics examiners must be like a group of comic book villains sitting in a lair, devising new ways to form cruel questions to make students suffer and this exam leads me to believe that this is not too far fetched of a concept. And I would tend to agree. Who wants students to be demoralised with low scores and questions they can’t succeed on. Surely that should not be an aim when creating an exam! I’ve taught the HL Calculus Option for the last 4 years – I think the course is a good one. It’s difficult but a rewarding syllabus which introduces some of the tools needed for undergraduate maths. However I no longer have any confidence in the IB or the IB examiners to produce a fair test to examine this content. Many other HL teachers feel the same way. So what choice is left? Abandon the Calculus option and start again from scratch with another option? Or continue to put our trust in the IB, when they continue to let teachers (and more importantly the students) down? This is a nice example of using some maths to solve a puzzle from the mindyourdecisions youtube channel (screencaptures from the video). 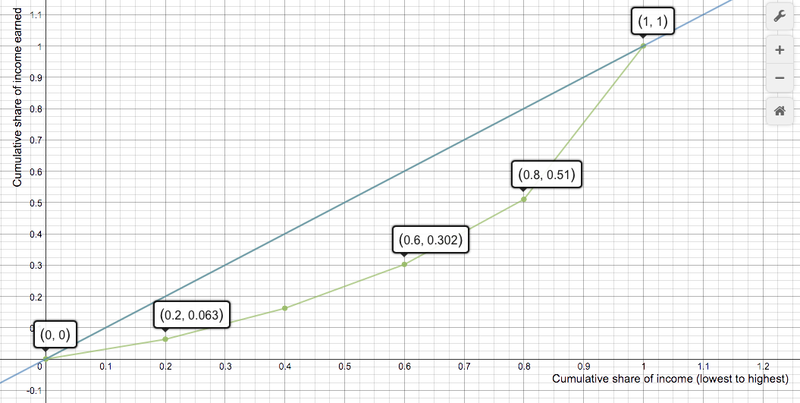 The expected value was worked out here by doing 0.5 x (2) + 0.5 x (2 + root 2) = 2.71. The question is now, is there a better strategy than either of these? An obvious possibility is heading for the point halfway along where the barrier might be. This would make a triangle of base 1 and height 1/2. This has a hypotenuse of root (5/4). 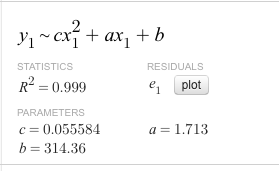 In the best case scenario we would then have a total distance of 2 x root (5/4). 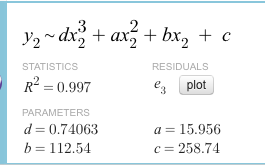 In the worst case scenario we would have a total distance of root(5/4) + 1/2 + root 2. We find the expected value by multiply both by 0.5 and adding. This gives 2.63 (2 dp). But can we do any better? Yes – by using some algebra and then optimising to find a minimum. So, when we head for a point exactly 1/(2 root 2) up the potential barrier, we minimise the distance travelled to around 2.62 miles. So, there we go, we have saved 0.21 miles from our most pessimistic model, and 0.01 miles from our best guess model of heading for the midpoint. Not a huge difference – but nevertheless we’ll save ourselves a few seconds! This is a good example of how an exploration could progress – once you get to the end you could then look at changing the question slightly, perhaps the troll is only 1/3 of the distance across? Maybe the troll appears only 1/3 of the time? Could you even generalise the results for when the troll is y distance away or appears z percent of the time? This is a classic physics experiment which counter to our intuition. We have a situation where 1 ball is dropped from a point, and another ball is thrown horizontally from that same point. The question is which ball will hit the ground first? Looking at the diagram above you might argue that the ball that is dropped falls to the floor quicker as it has a shorter path. Or, you might think that the ball thrown sideways would travel faster to the ground because of its initial horizontal velocity. Both of these views are wrong however – as both balls will land at exactly the same time. To understand why, let’s look at the 2 situations in turn. which is the time taken (ignoring air resistance etc) for an object launched horizontally to fall a distance d, where g is the gravitational constant 9.8 m/s. But this time the distance in the x direction will of course be 0.
and then the motion capture software actually plots the parabola of the ball’s motion. Which is a remarkably close fit. So, there we go, we have shown that the vertical motion of our 2 objects are independent of their horizontal motion.